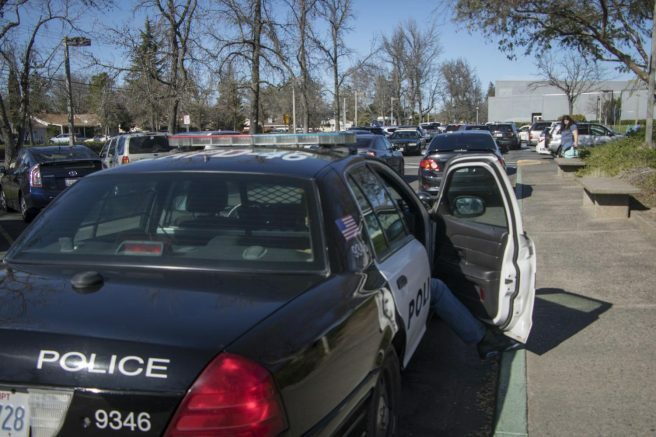 Sacramento Sheriff’s deputies responded to a call for backup from a Los Rios Police Department Officer Tuesday afternoon after an apparent altercation with an American River College student inside the Disabled Student Programs and Services Offices. According to ARC Public Information Officer Scott Crow, there is still an ongoing investigation as to the nature of the incident but dispatchers at the Sheriff’s office were able to confirm that a call for backup was placed and several officers in the area responded at 1:20 p.m. One individual was arrested, according to the sheriff’s office dispatcher. The Visitor’s Parking lot on the west side of the campus was closed down temporarily because of the large amount of responding officers from the Sheriff’s Department, the California Highway Patrol and the LRPD. In an email to the Current, Crow said that the call for backup is not unusual in situations like this. The incident was originally categorized as an Emergency Response Notification Icon alarm call on the Los Rios Police Department Crime Log but has since been changed to reclassify the event as involving a “Mentally Unstable Person,” on campus. The ERNI alarm is installed on administrative computers across the district and acts as a silent alarm system that administrators can trigger in the event of an emergency. The ERNI alarm was triggered from an administrator’s computer inside the DSP&S Office. DSP&S Supervisor Fong Vang was able to confirm that the ERNI alarm system was used because of an incident but said he was unable to provide further details at that time. The call for backup was broadcast across the dispatch channel shared between the Sacramento County Sheriff’s Office and Sacramento City Police. Be the first to comment on "Breaking News: LRPD Officer calls for backup after altercation with student"